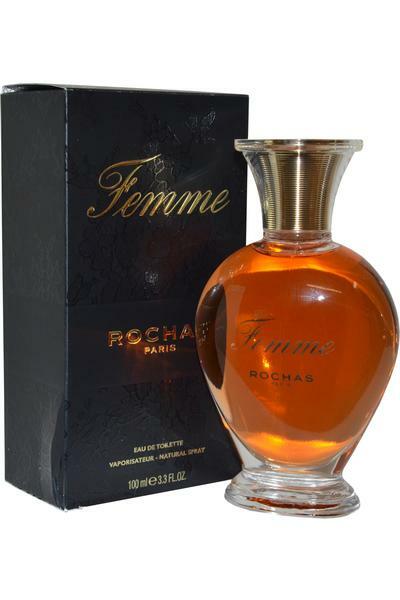 Rochas Femme de Rochas Eau de Toilette is a chypre fragrance and was one the first creations of Edmond Rounitska, now the doyen of the 'noses'. It was created by Marcel Rochas as a wedding present for his new wife Helene. Top Notes: Peach, Plum, Apricot, Bergamot and Cinnamon. Heart Notes: Jasmine, Rose, Immortelle and Ylang-Ylang. Base Notes: Oak Moss, Sandalwood, Patchouli, Musk, Amber and Vanilla.